Shine Hospitality Services ,New Delhi Happy to announce that we have started a budget property at Mahipalpur by Name of HOTEL NORATAN PALACE From 1st April 2017 Near to Delhi IGI airport T3 & Close to Aerocity metro Station with all necessary facilities. we are starting this property to serve all types of corporate and leisure from the market. 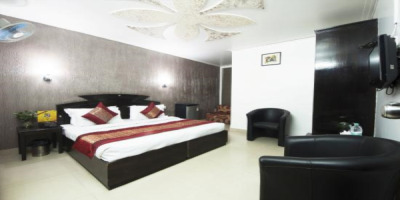 we are differentiating our self from others for our quality of rooms and types of amenities and services associated with room and our highly educated professional appointed from various HM colleges in INDIA and other 5 star hotels. Cancellation with in 24 hours not refundable, Before 24 hour of check in 100% Refundable.